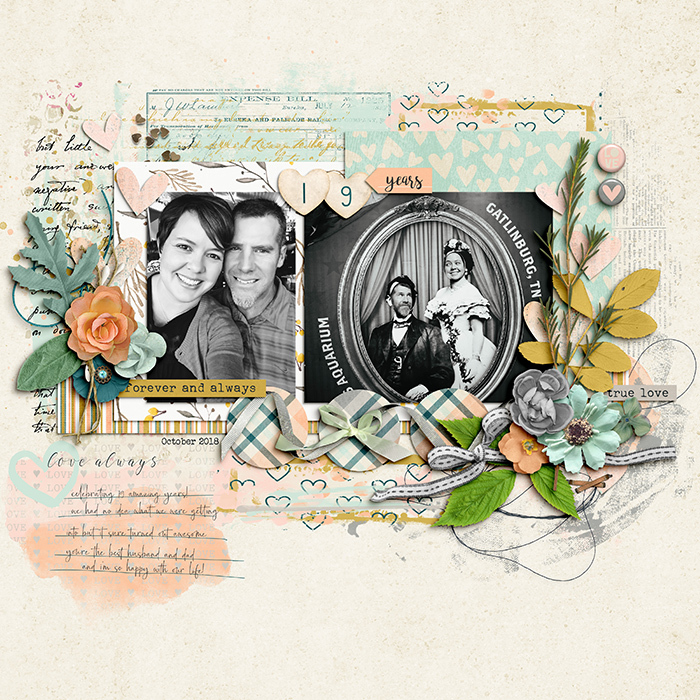 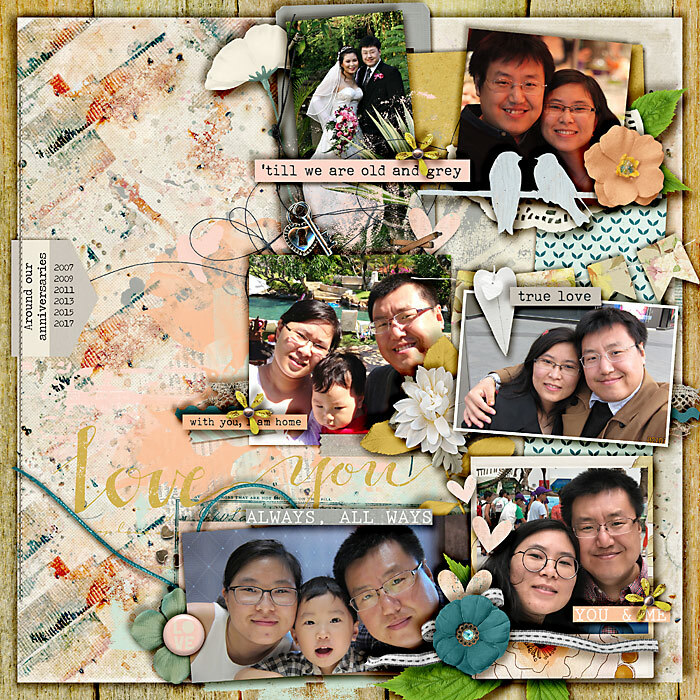 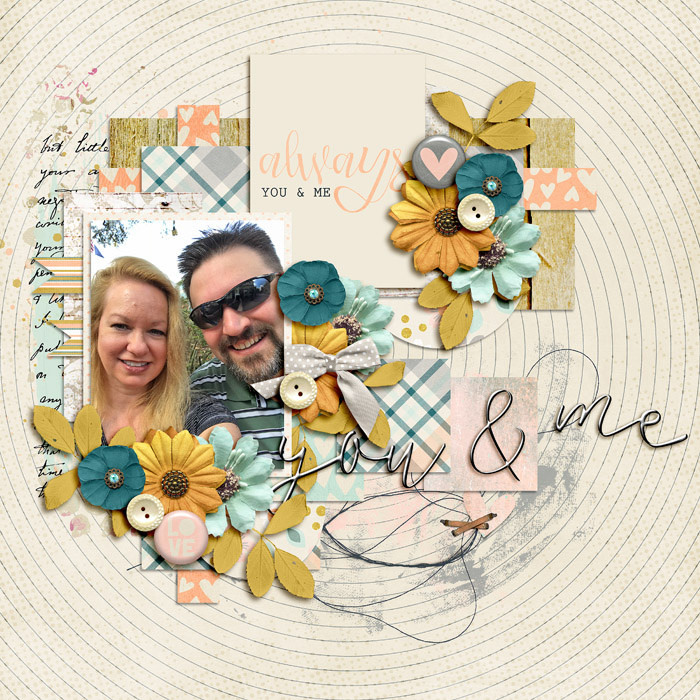 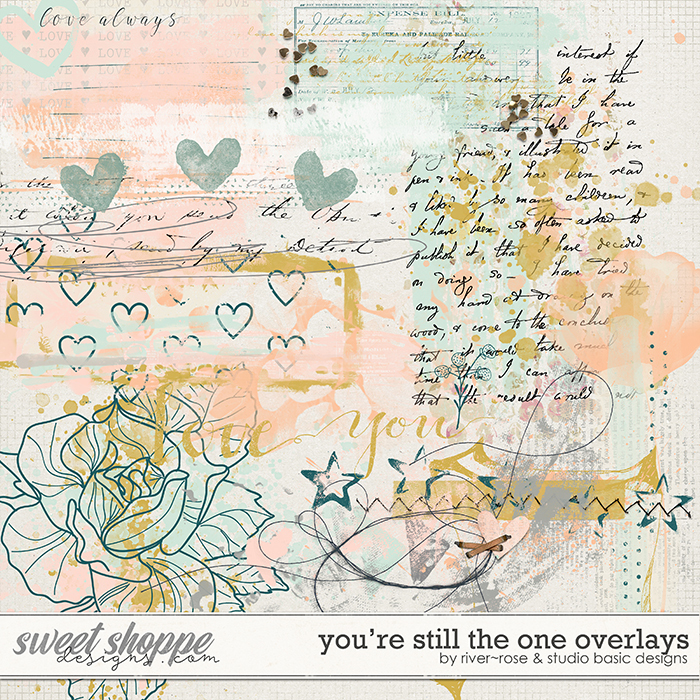 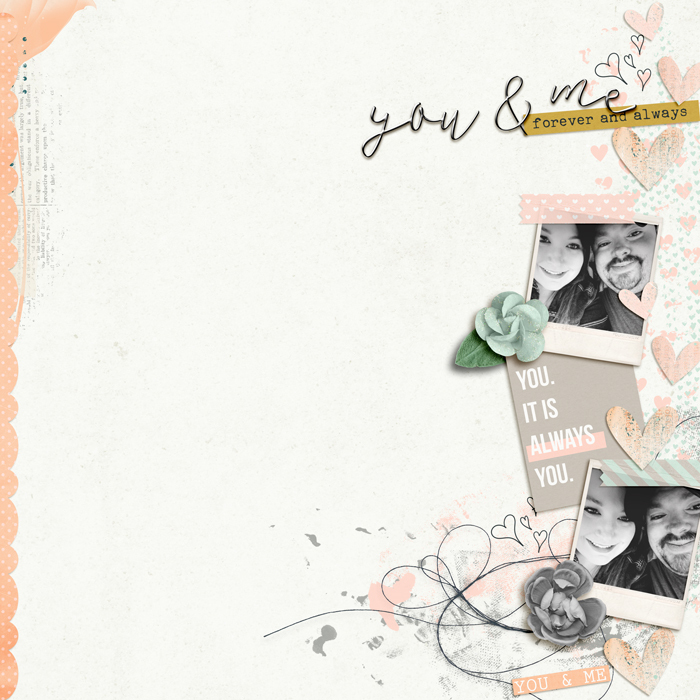 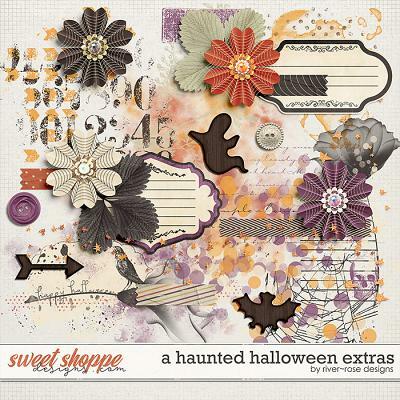 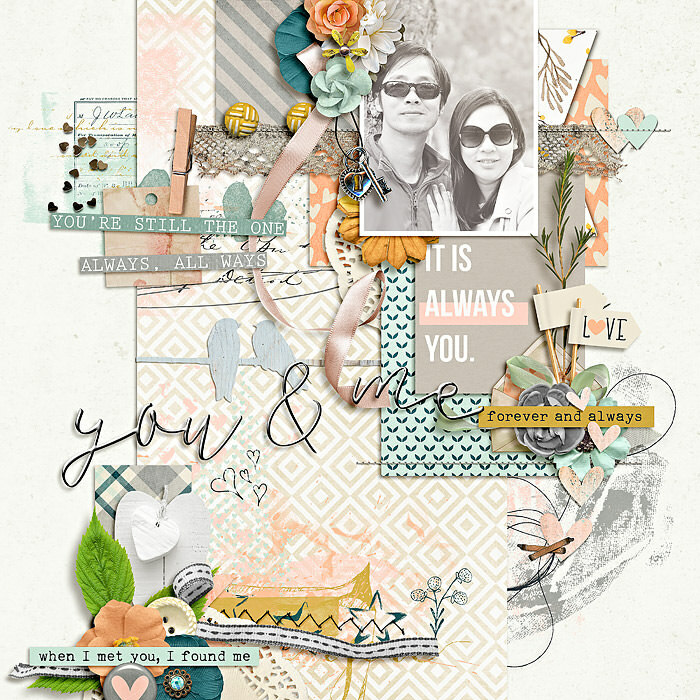 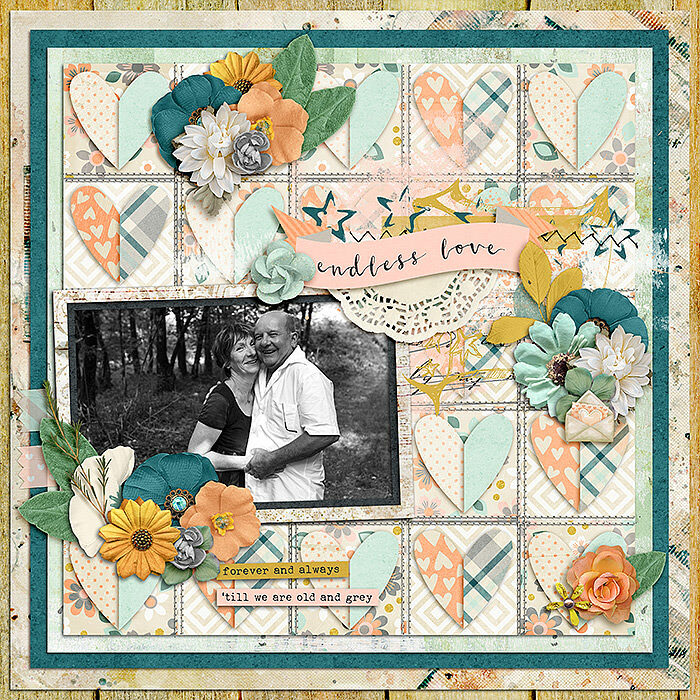 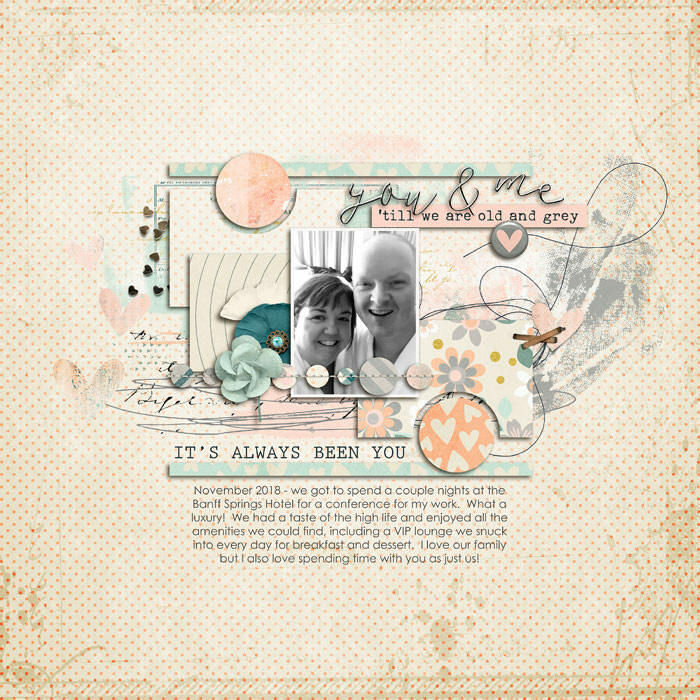 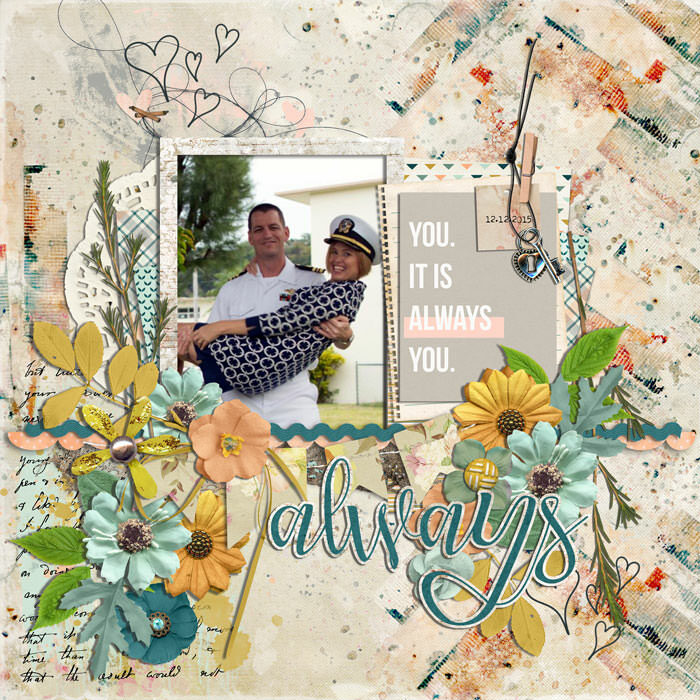 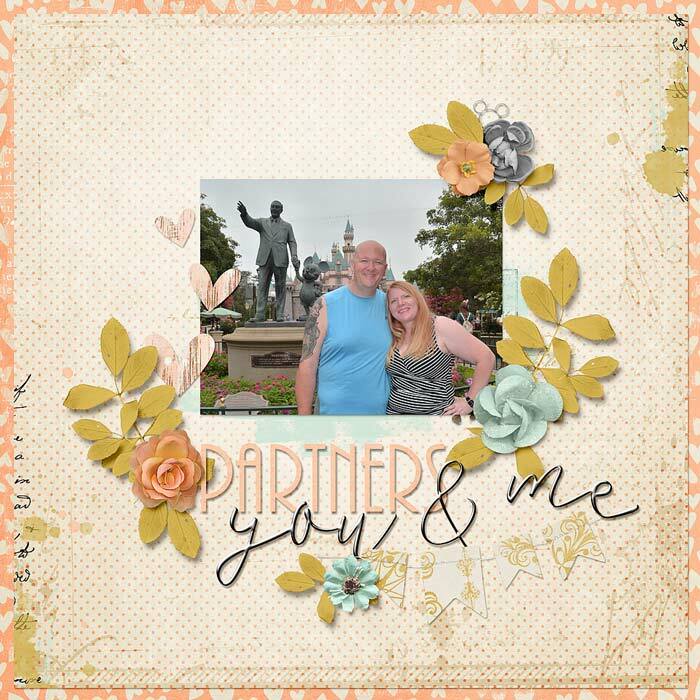 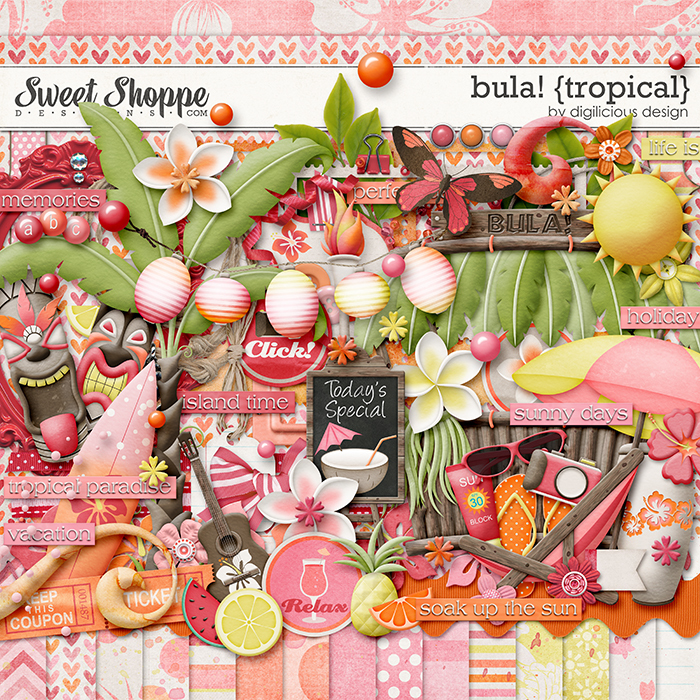 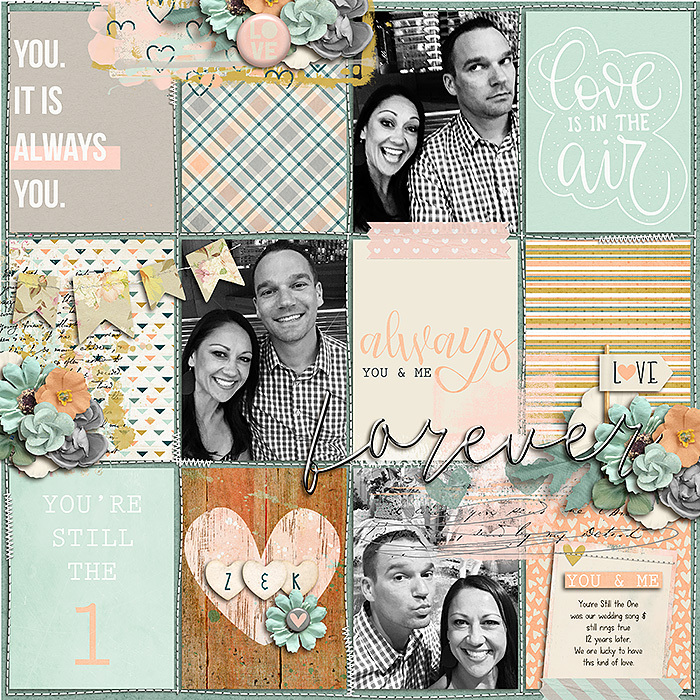 A digital scrapbook collection by River Rose Designs and Studio Basic Designs that celebrates long lasting love. 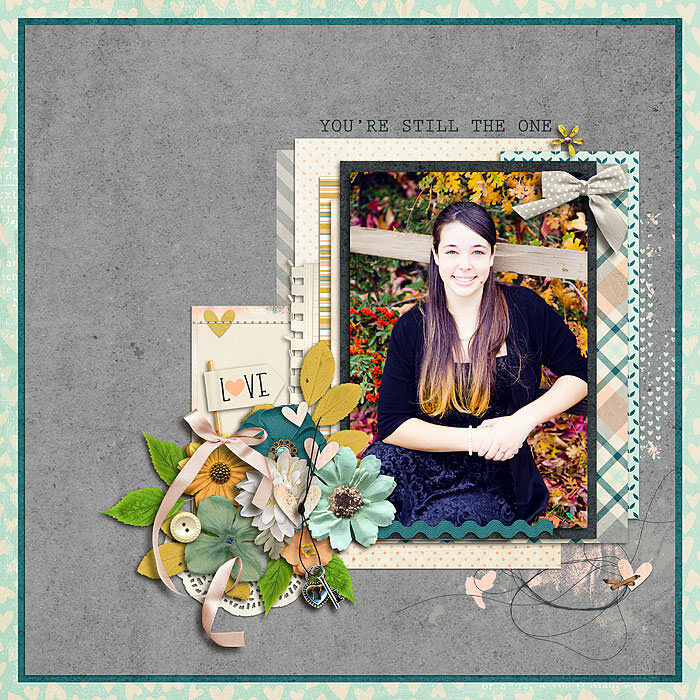 Honor those who are still the one after all this time. 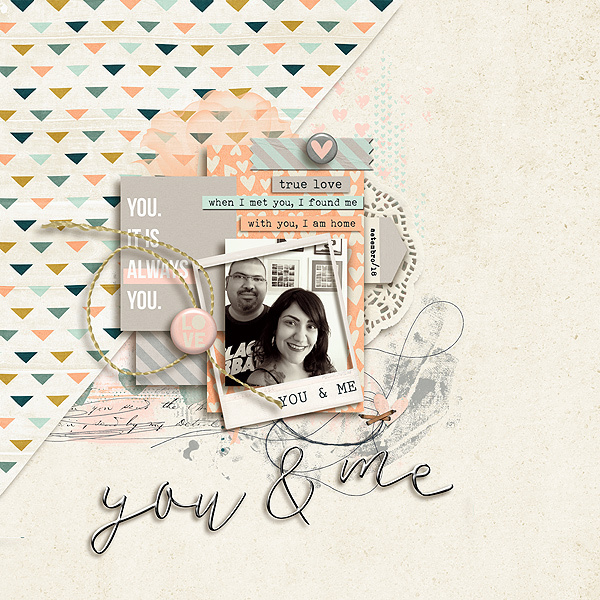 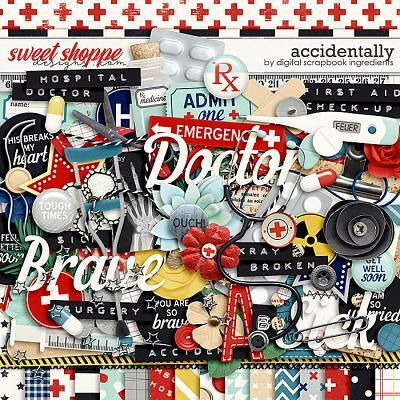 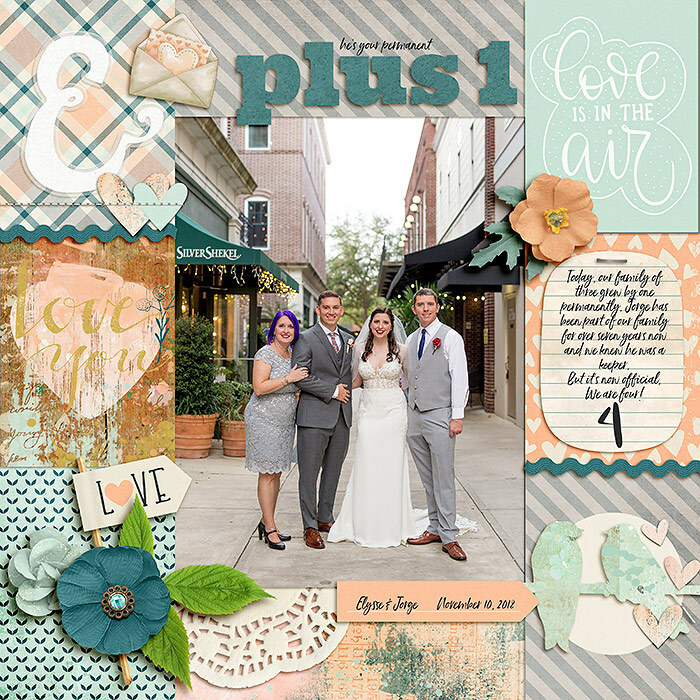 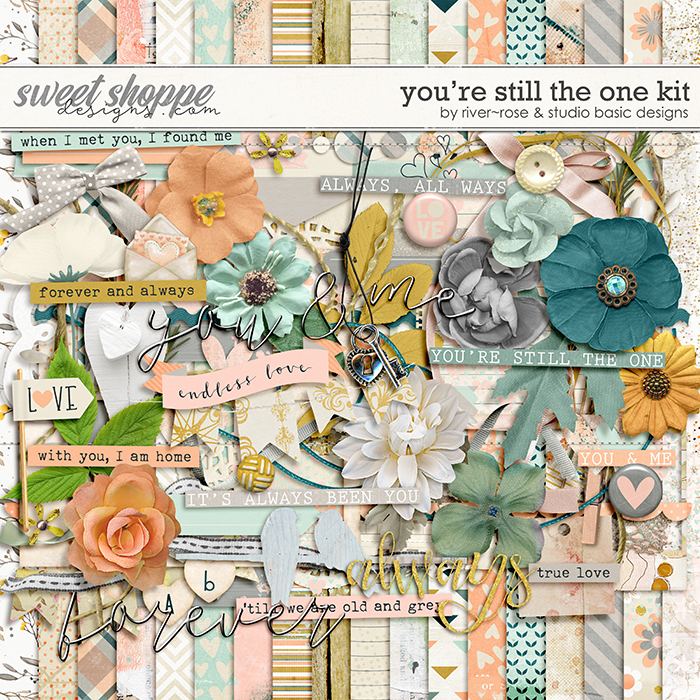 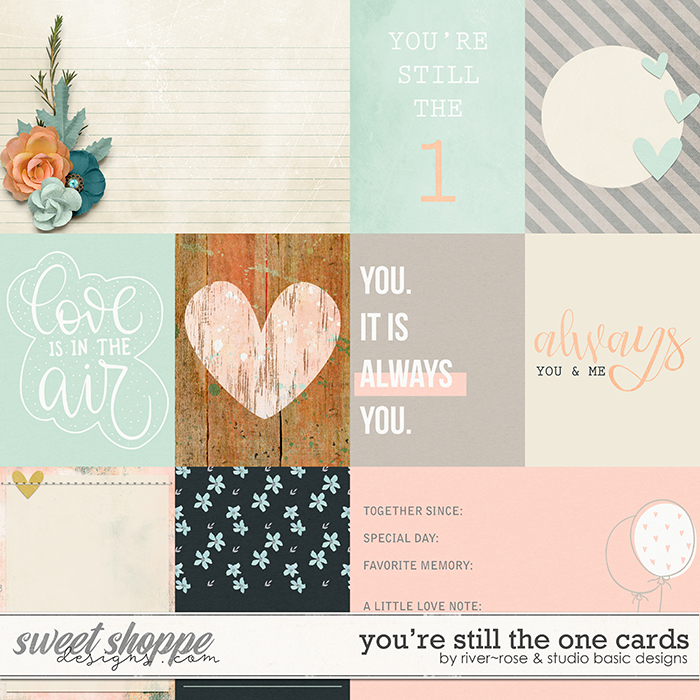 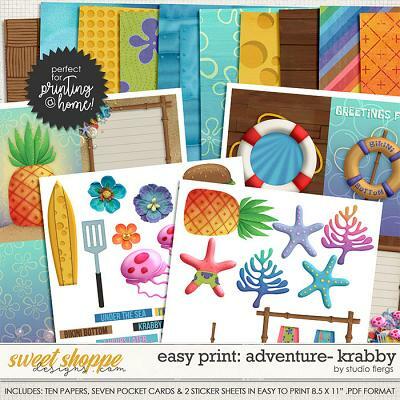 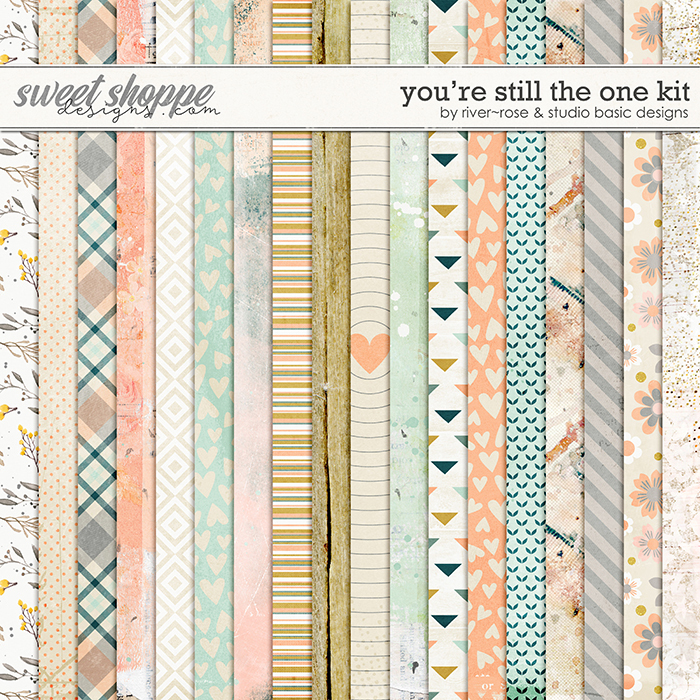 The bundle includes Full Kit, Journal Cards and Overlays. 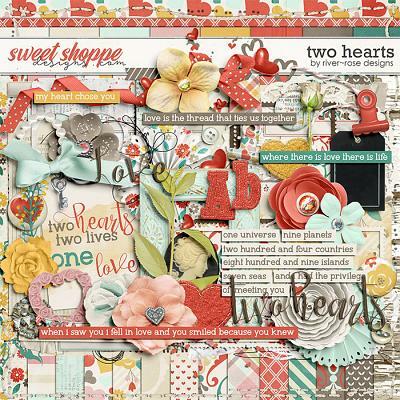 29 background papers (18 patterns and 11 solids), 84 elements including buttons, frames, banners, birds, torn doily, labels, strings, loads of hearts, word art and an assortment of beautiful flowers and foliage, plus a heart alpha with uppercase and lowercase letters with numbers and special characters in individual.PNG file format, 10 Journal Cards (8 3x4 and 2 4x6) & 10 overlays.